yup!!! 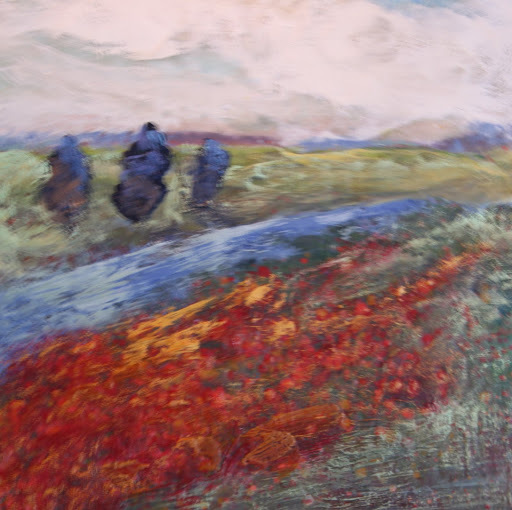 the ole red poppies in the foreground trick…effective when what you really wanted to do is paint those three blue trees…and the sky..oh to do clouds like a blow torch…I think that is like GOD’s breath!!! the inhale and exhale..a.nd sometimes GOD has a cold..or sneezes…or burps! Love it! and I love the thought of God burping.